Look, I'm not saying it's the only list you'll ever need, but I am literally saying it's the only list you'll ever need. 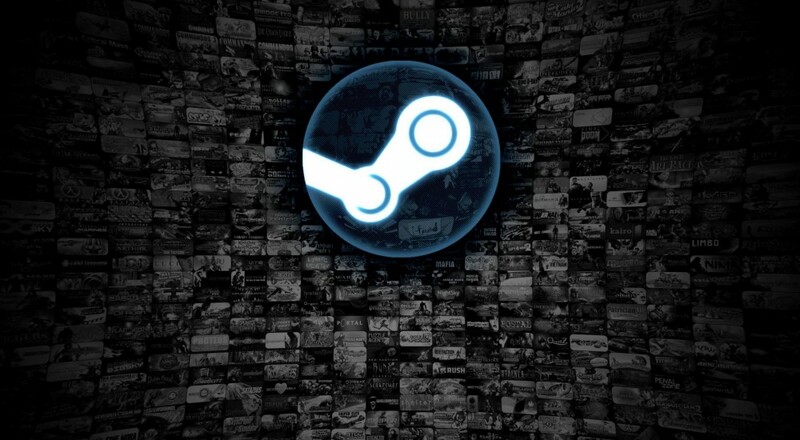 With Steam's 2016 Summer Sale in full effect, we here at Co-Optimus decided that it might be best to provide some sort of guide to help weary bargain hunters navigate the proverbial labyrinth of deals. After all, what kind of cooperative gaming site would we be if we let our buddies get bogged down in the free-to-play quagmire? What kind of authorities would we be if our site's stance on adventure games was "yeah, I dunno, they're probably all pretty good or whatever"? I dare not dream of a world in which we cannot offer our suggestions to the unwashed masses. Sniper Elite 3 (Steam) - For $10, you get a really fun co-op experience that's unique to most FPS. Players have to work together as sniper and spotter to finish the missions, it's not just a run and gun shooter. Serious Sam Complete Pack (Steam) - This time, $10 gets you every Serious Sam game in the series, all which feature popcorn style action co-op. No thinking required, just shoot everything that's trying to kill you with a bunch of friends and enjoy cheesy one liners. Grim Dawn (Steam) - Everything you love about the games of Iron Lore in a new package. Crate Entertainment's first game as a new studio is an action-RPG that is true to the mechanics and style of Titan Quest, though it does lack a little in the fantastical visualizations that those games put on display (i.e., Grim Dawn is very grim dark). Plenty of options for how you want to build out your character, great synergies to develop between you and your co-op partners, and more loot than you can shake a stick at. For those of you who miss the Diablo 2-era of aRPGs, Grim Dawn is the answer. Divinity: Original Sin - Enhanced Edition (Steam) - Not sure what more I can say about this title that we (as a site) haven't already said. A fantastic cRPG for two people that lets you develop your own personalities, roshambo your way through disagreements, and combine magic to set your enemies ablaze. The Enhanced Edition tweaks the game to make it even better, so without a doubt, this is the version to get. I picked up Gauntlet (Steam) for $5. Victor Vran (Steam) for $4.99 - A surprisingly fresh and deep Diablo clone best played with 2 or 3 friends. Each area features optional challenges which adds a fun level of replayability and, of course, more loot. It also breaks the Diablo formula by hiding secrets in areas that you can only jump and/or wall jump to. Eon Altar (Steam) - Fresh out of Early Access and ready for action! This isometric RPG will remind you of Diablo and its various imitators, but its unique "cell phones as controllers" feature delivers information in a very different way. A great local co-op experience, and only $5.59 during the sale. Circuit Breakers (Steam) - You want pixel heavy twin stick shooting with four local co-op players? Well, that's what Circuit Breakers gives you, so, you know, good. Classic arcade action with lots of weapons and lots of things to shoot, all for just $4.99. Hero Siege (Steam) - A somewhat overlooked arena-based fusion of a roguelike and a hack and slash arcade game. Pick a character, jump on a server, start looting and killing to survive. Surprisingly challenging but extremely entertaining with its online co-op feature. Hefty 90% discount during the sale, so it's only $0.59! Dying Light: The Following - Enhanced Edition (Steam) - Sleeper hit of 2015, now comes with all DLC including "The Following" - a full new campaign that is designed around co-op play. Dark Souls 1-3 (Steam | Steam | Steam) - If you need some more stress added to your life, buy these. If you are wondering if you want to get into Dark Souls, the first one is a good start for 5 bucks. Broforce (Steam) - Stupid fun best enjoyed with a bunch of mates. Warhammer: End Times - Vermintide (Steam) - An updated version of Left 4 Dead, set in the Warhammer fantasy universe. Stop playing Left for Dead and pick this up. HellDivers (Steam) - A tactical top down shooter that requires communication and coordination. Don't let the aesthetic fool you into thinking this a friendly little shooter. Brothers - A Tale of Two Sons (Steam) - A wonderful adventure puzzler where your left hand gets to co-op with your right hand. Rocket League (Steam) - Without a doubt, I spent more time on Rocket League last year than any other title. The AI provides a fairly reasonable challenge as you and up to three buddies whiff your way through the game's exhibition and season modes. Sid Meier's Civilization V: Complete (Steam) - It's all things Civilization V. It's $12.27. Just... look, just trust me on this. Keep Talking and Nobody Explodes (Steam) - Keep Talking is one of the most unique, stressful, and satisfying co-op experiences I've had in quite some time. Correctly snipping that final wire as the timer hits 00:02 and listening to your group erupt into rapturous cheering is simply an irreplaceable feeling. It's also, without a doubt, the most fun anyone has ever had with an instruction manual. In case you'd like a broader view of our Steam recommendations over the years, head on over to our Curator page! So, how about you? Are there any co-op games on this year's sale that you're particularly fond of? Let us know in the comments! Page created in 0.5911 seconds.